The St. John the Baptist Parish Public School District will accept applications for its STEM Magnet High School Program through Dec. 7. Interested parents are invited to tour the school Nov. 30, Dec. 3 and Dec. 7 from 10 a.m. to 1 p.m. Parents wishing to attend these open houses should arrive at the STEM Magnet Program (1880 Highway 44, Reserve), park in the gravel parking lot to the left of the school and go to the front office to check in. School administrators will be available to provide a tour of the program and answer any questions. The STEM Magnet High School Program offers an advanced option for high school students who wish to prepare for possible careers in science, technology, engineering or math. This program seeks to inspire creativity, promote leadership, and cultivate well-rounded, lifelong learners who are problem solvers. Together with other academically advanced students, students will be challenged through a rigorous program of instruction that will prepare him/her for success in college and beyond. Admitted students will be notified by Jan. 22. 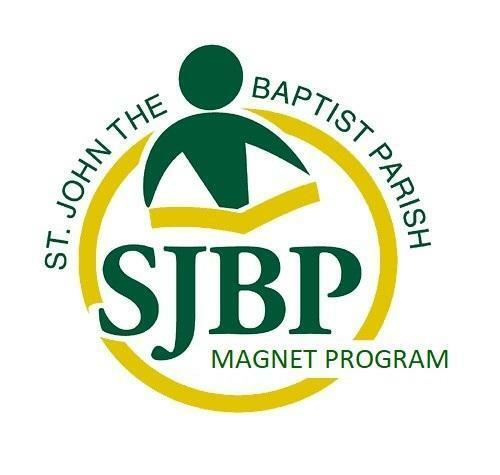 You can find out more information about SJBP’s STEM Magnet High School Program by visiting its website at stem.stjohn.k12.la.us, following its Facebook page, on Twitter or by contacting the STEM Magnet Program directly at 1880 Highway 44, Reserve, LA 70084 or (985) 479-8338.